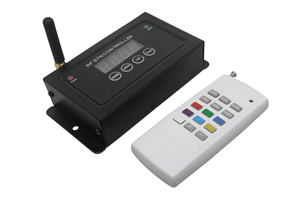 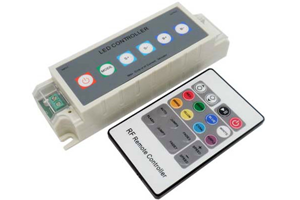 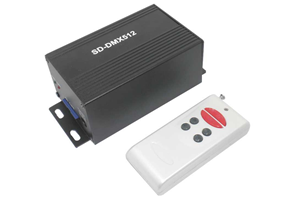 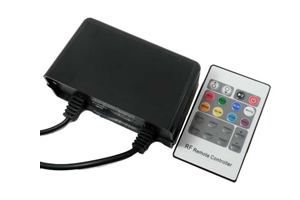 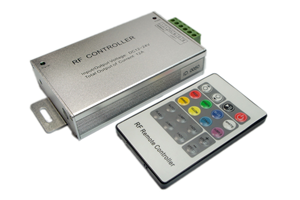 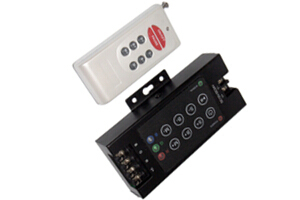 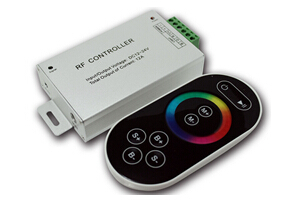 RF controller adopts the advanced micro control unit, with 433MHz wireless signal to do the controlling. 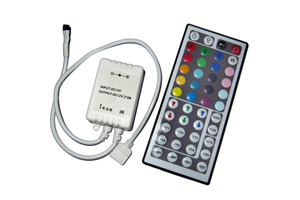 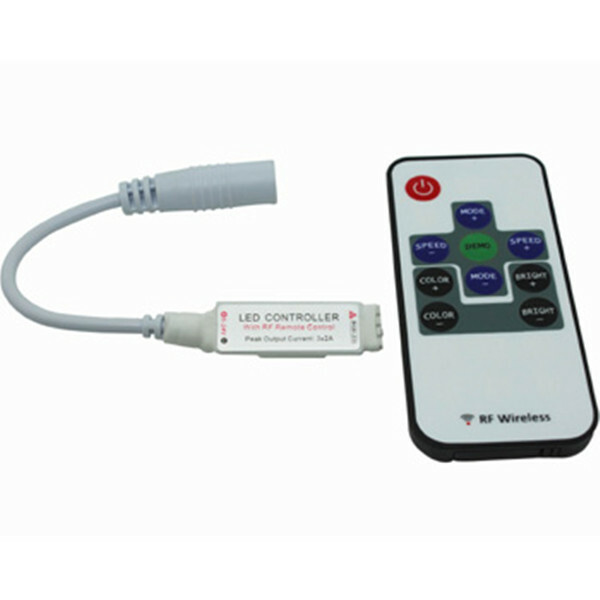 It is used for controlling a variety of lamp whose source of light is LED. 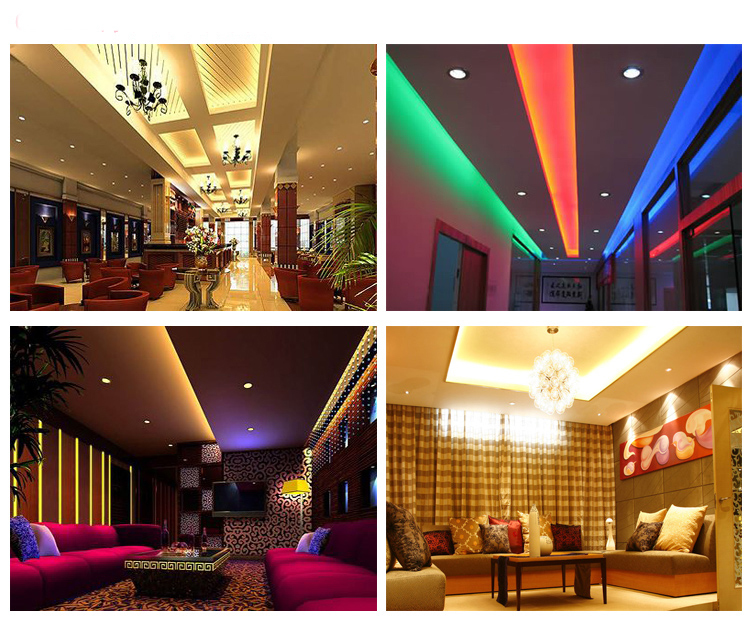 For instance, point source of light, flexible light strip, wall washer lamp, glass curtain wall light and so on. 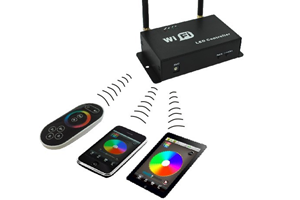 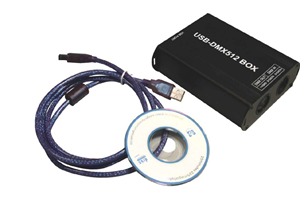 It has many advantages such as low price, easy connection, simplicity to use and others, etc. 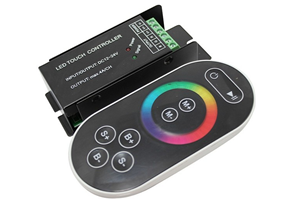 According to the customers’ needs, it can realize gradual change, fadein dimming, jumping change, strobe, quick flash and other kinds of model. 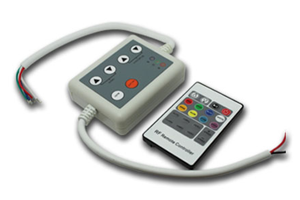 It is easy to take, simple to use,etc.